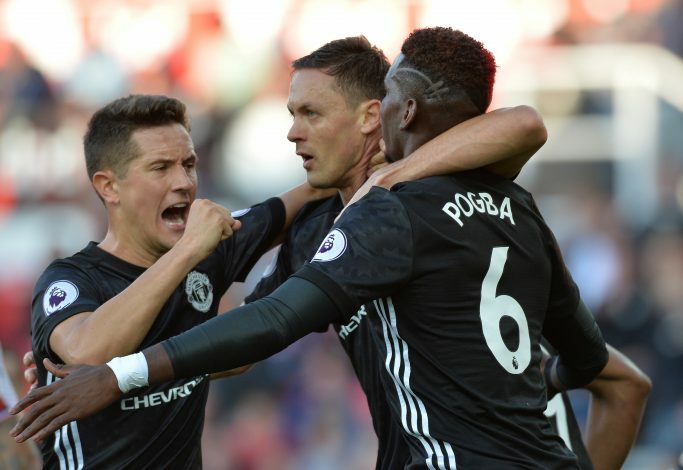 Manchester United higher-ups have handed Jose Mourinho a six-man target list, which consists of potential partners for Nemanja Matic and Paul Pogba. All seemed well after the Serbian international’s arrival in the summer, as it offered some dynamic range to the United midfield. But eventually, flaws have started to surface, and they’ve been exploited multiple times over the course of this campaign. Naturally, the manager and the board have realised there is a missing link in the middle of the park which needs to be fixed immediately, especially considering the departure of Michael Carrick and the likely transfer of Marouane Fellaini. Six reliable midfielder have been named by the Old Trafford scouts, which include the likes of Bayern Munich star Arturo Vidal and Paris Saint-Germain ace Marco Verratti, according to Manchester Evening News. Further, OGC Nice’s Jean-Michael Seri, Shakhtar Donetsk midfielder Fred, Napoli star Jorginho, and Lazio’s Sergej Milinkovic-Savic are also said to be a part of the list. Mourinho believes adding this missing piece to his side’s midfield could turn out to be key if the Red Devils fancy their chances of catching up with rivals Manchester City next season. Two central midfielders could reportedly be on their way to Old Trafford, though it’s unclear which of these stars are the closest to securing a move.